Maybe it's not the most subtle of resolutions coming from a travel consortium, but Virtuoso is quick to add that travel makes people happier, healthier and more relaxed and successful at work. Research has shown, however, that vacation shaming (i.e. not taking one’s vacation time because of peer pressure) is very real. Virtuoso suggests would-be travelers escape the office by picking a slow time of the year and booking in advance in order to commit. If time and money are issues, even long weekend get-a-ways are a good thing. Voluntourism is gaining traction as people welcome the opportunity to do something good for others, learn and travel at the same time. Just one example comes from Grace Bay Club in the Turks and Caicos, which can arrange for guests to help with local recovery efforts in the wake of this year’s hurricanes. The experiential travel trend has made learning while traveling easy and fun. There are cooking lessons in Tuscany, practicing one’s French in Paris or just honing photography skills wherever one travels. 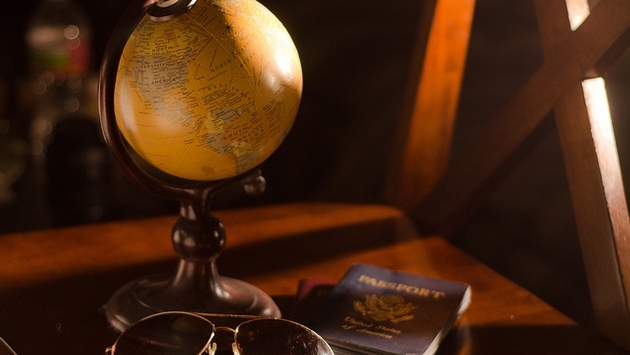 READ MORE: Where Are You Headed This Winter? Discover how to make a difference as a sustainable traveler. El Silencio Lodge & Spa, for one, is an eco-luxury resort in Costa Rica offering 500 private acres of cloud forest, hidden waterfalls and organic cuisine. Each of its suites sits on above-ground pillars to respect the forest’s natural topography. They feature bamboo ceiling tiles, energy-efficient lighting and energy-saving electric heaters. Combining New Year’s fitness resolutions with travel is a perfect match. A growing number of wellness resorts offer yoga, meditation and massages in Zen-like settings. On the other hand, adventures—from skiing in Europe to kayaking in Canada—burn calories and help high-energy travelers get in shape. Travel stretches your personal boundaries. Whether swimming with the sharks in Mexico or skydiving in New Zealand, traveling to off-the-beaten path destinations or simply taking a solo trip, your horizons will broaden. More than one billion tourists cross international borders each year, according to the United National World Tourism Organization. Travel fosters understanding, tolerance and appreciation of other countries and cultures. It can be a source for good in a world that always needs more of it.